It’s March and it’s still cold. Those that live in cooler climates I am sure will agree with me, or rather *most will* (not those die hard “I love the snow!”people) – that when it hits spring on the calendar we start pining for warmer weather in a really really really bad way. Anyways here is the scoop with West Michigan weather and a little intuition I had back in January. I In January we had this crazy weather warm up – it was almost 60 degrees! WOW! I had two thoughts at that time, on one hand I voiced to my children we must get out and enjoy this, it feels like spring! And the other part of my rational brain thought but did not voice, this is not going to be good once it is spring…because we will have pay back somewhere in this mess of weather mixing itself up during the season. Yes, friends. That actually came true. We have are having major mother nature weather pay back. So instead of being easy, breezy let’s warm our way into spring type of weather, we are having the opposite. Cold, cold and cold. If I hear my kids at breakfast exclaim one more time, ‘WOW the thermostat says only 19 degrees!’. I am going to scream. REALLY REALLY LOUD. I really am willing spring to come and honestly I love that the sun has shone more times than not this month…but really that is only best enjoyed from the confines of your car. And yet still it remains COLD. What is more fun that grilling food when it is breezy and only 40 degrees…. I have unearthed the grill and despite the grill only getting a high of 200 degrees one night, we are grilling. And you know what pairs so well with grilled vegetables? 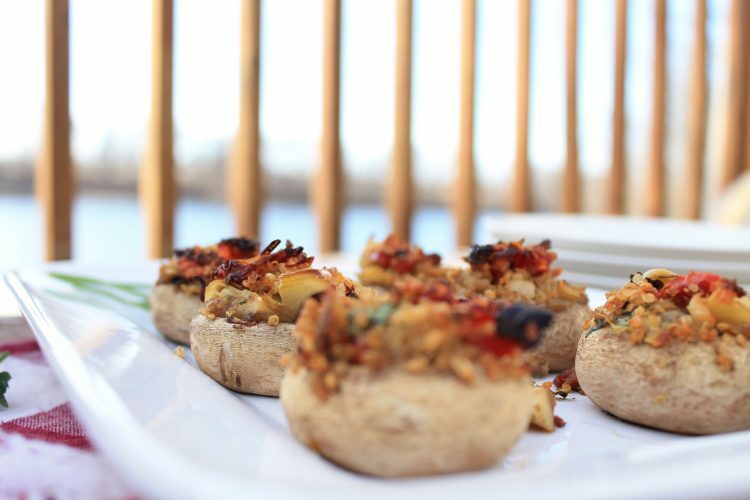 These artichoke sun dried tomato quinoa stuffed mushrooms! They are so full of flavor and perfect as a side dish, main dish or atop your salad bowl. I first made stuffed mushrooms years ago. I believe it was a Kraft recipe. This was pre-plant based only lifestyle and I think they were filled with Ritz crackers, butter and cheese. They were amazing. I wondered at that time why I had never made them before! They were much more simple to make than I thought and the presentation is so cute and restaurant appetizer worthy. Fast forward to today and I still love stuffed mushrooms! 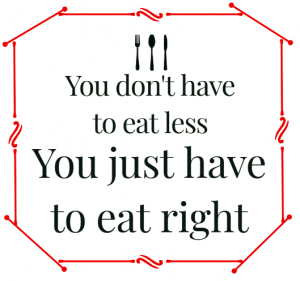 These days though I do have a few recipe requirements – must be healthy, must be planted based – which means dairy free (i.e. vegan) and must be gluten free. So I put on my thinking cap – what could fulfill all these requirements and still be so darn delicious? They would need to be protein filled, yeah for quinoa being a protein rich grain! Garlic, fresh parsley and basil add some wonderful depth of flavor as well. These are then stuffed also with artichokes and baked to a golden perfection. They were a win at our dinner table and I hope they will be on yours too! If you try them, we would love to know! 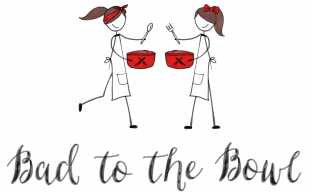 Tag @badtothebowl – we would love to connect with you! 1. Make your quinoa. In small saucepan, combine your rinsed quinoa, water and vegetable base. *You could omit water and vegetable base and use 1/2 cup vegetable stock. * Follow directions on quinoa package to make – I like to keep an eye on the water, as I always need to add more to get the quinoa all the say done to its pearly white color. 2. Soak your sun dried tomatoes in small amount hot water to make chopping easier. While sun dried tomatoes are soaking, chop your artichokes and onion. 3. In large skillet over medium heat water sauté, your onion and garlic for 3 – 5 minutes. Stir in artichokes. 4. Drain your soaked sun dried tomatoes and chop. Add to pan on stove. 5. Measure than chop your parsley and chop your basil. Stir into mixture in pan on stove. 6. Add all other spices and add your cooked quinoa – this is now your stuffing for the mushrooms. 7. Rinse and de-stem all your mushrooms. 8. Line a baking sheet with parchment paper and preheat oven to 400 degrees. 9. Place mushrooms on parchment lined sheet and stuff with filling. You will have more filling than you need for the mushrooms. Save to eat later in a bowl or by itself! 10. Bake mushrooms at 400 degrees for 30- 40 minutes.